First you paint the cabinets, then you update the floors and install a new backsplash. Everything looks great – with finishing final touch: complete your picture perfect kitchen update with new cabinet knobs, pulls or a sink faucet. 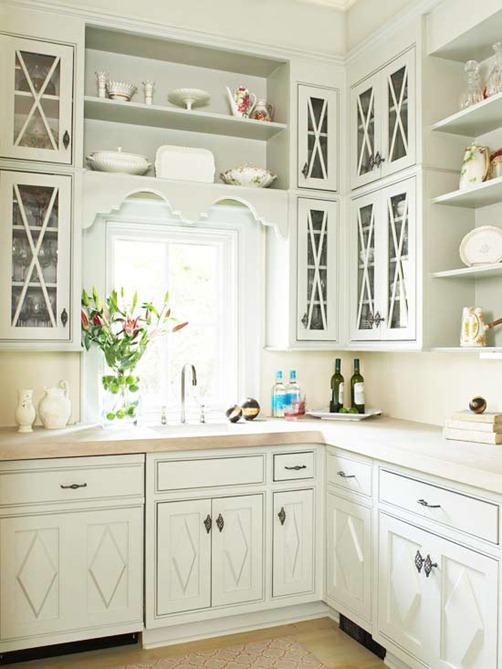 Not sure what type of kitchen hardware would work with your design style? Decide if you want your knobs and pulls to coordinate with your appliances (like stainless steel), to add touches of color, or to reflect your personality. Most hardware comes in polished, brushed and satin finishes and are readily available. This is an inexpensive way to set your creativity free. Why Not Upgrade Your Faucet, Too? Polished Brass – Easy to clean, durable, expensive. Satin Brass – Matte, brushed gold look, doesn’t show fingerprints. Can be hard to find. Oil Rubbed Bronze – Gives a traditional feel, colors vary from light bronze to almost black. Satin Bronze – A lighter option than oil rubbed bronze, expensive. 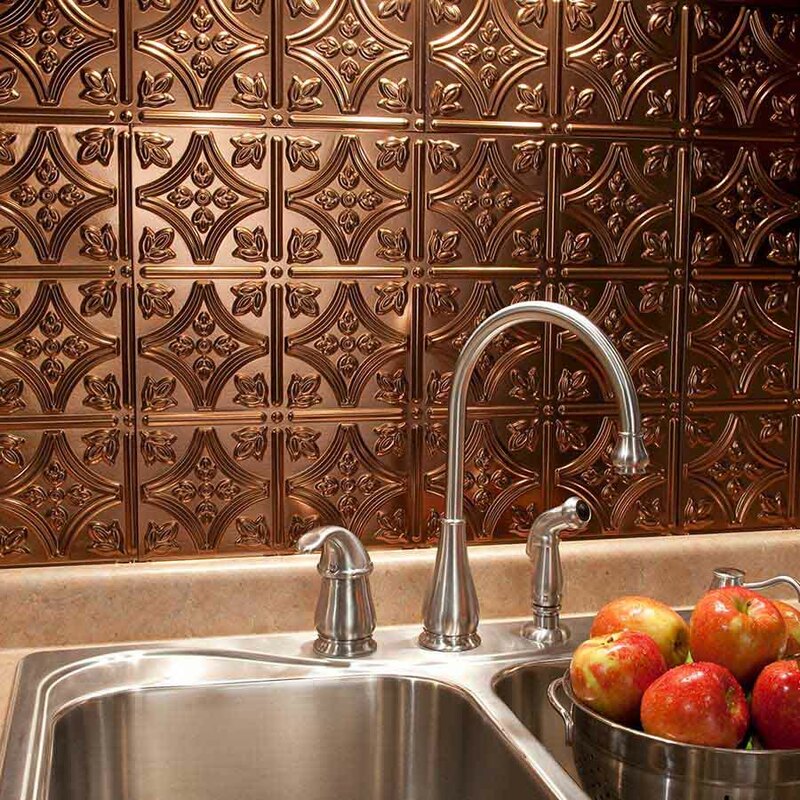 Copper – Gives a rich feel and has antibacterial properties, not as durable as nickel or chrome. Brushed Nickel – One of the most durable finishes. Doesn’t show wear, fingerprints or water spots. Chrome – Works with multiple styles, does show water spots and fingerprints, inexpensive. 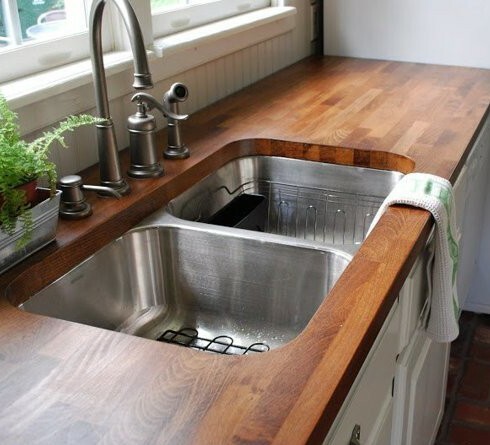 Stainless Steel – Often a logical choice for a stainless steel sink. Non-metallic options – Enamel or epoxy coated faucet in matte black, white or tan have a modern look, prone to chipping. DIY installation of a faucet is fairly straightforward. You will need an adjustable basin wrench, slip joint pliers, safety glasses and a bucket. The toughest part may be cleaning out the area under the sink to give you room to work. Turn off both hot and cold water supplies – place hoses in bucket to collect excess water. Unscrew mounting nuts – these hold the faucet to sink. Remove the old faucet – clean the area around sink hole before installing the new one. Place rubber gasket around hole – if your faucet did not come with one apply a sealant before installing. Slip faucet supply lines through hole. Secure new faucet to sink – avoid tightening screws too much on porcelain faucets because they will chip. Reattach water lines – test the lines to check the water pressure. Make adjustment if necessary. Cap all unused holes with covers – If you are switching to a single handle then cover up the old holes for the water knobs with universal caps that match your sink. Think accessories – Add a soap dispenser or water filter to the leftover holes where water handles were. Consider buying any additional accessories (soap dispenser, water filter, sprayer) from the same manufacturer. Many finishes vary from company to company so keep your look consistent. Putting the finishing touches on your kitchen upgrade is easy and exhilarating. All your hard work definitely pays off. DIY projects are fun, save money and give you a sense of accomplishment that hiring outside help doesn’t provide. Try not to rest on those laurels for long; plenty of other home improvement projects need your attention! From a right angle drill and battery powered work light to a basin wrench, our expert staff is always on hand to help you find the right equipment for your next kitchen DIY project. 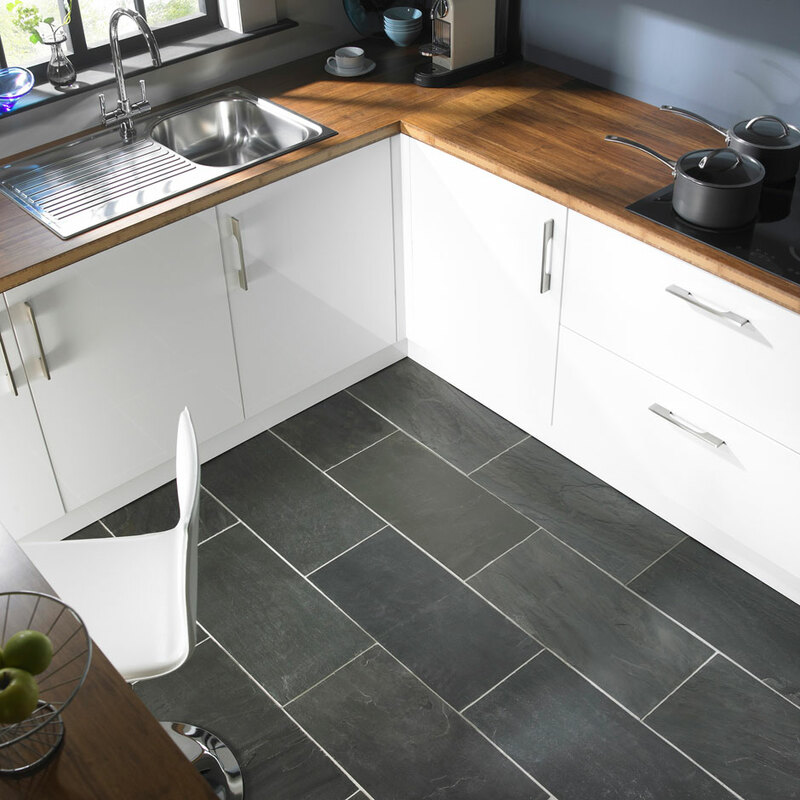 Looking to upgrade your own kitchen? Review our blogs in this series for helpful tips on where to begin – How to Reinvigorate Your Kitchen for Less, Show Off Your DIY Skills with Flooring, and Kitchen Backsplashes with Pizzazz. As always, if you have any questions about what to choose, pricing or how-to’s, don’t hesitate to contact us. Stop by our store — we’re open seven days a week.